Aranui Cruises is adding a special cruise to one of the most remote destinations in the world, Pitcairn Island, as part of its bumper 2019 cruise program of 20 voyages in the South Pacific. 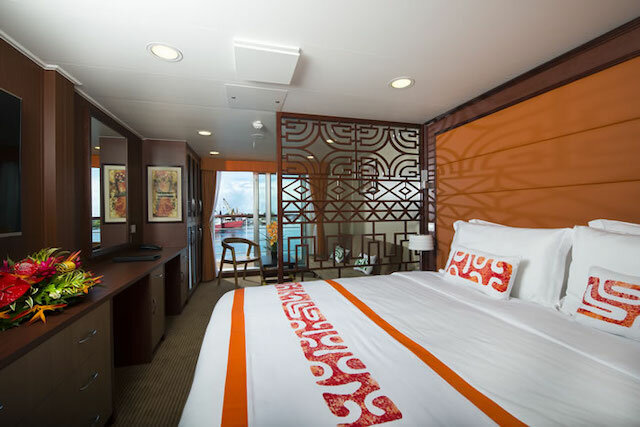 It’s the first time the Tahitian adventure cruise line has offered a different itinerary from its regular roundtrip voyage from Papeete to the Marquesas, Society and Tuamotu islands, and marks the first new destinations added to the program since Bora Bora was introduced in 2015. 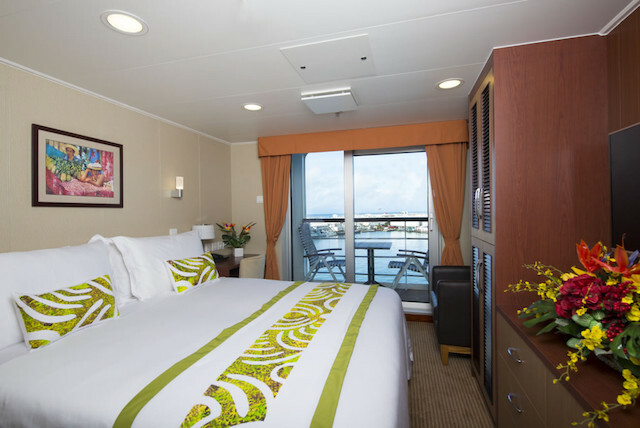 The line’s 125-metre long mixed cargo and passenger vessel Aranui 5 will start the year with a new 13-day roundtrip cruise from Papeete to Pitcairn Island departing on January 10, 2019 and priced from $7280* per person twin share for an ocean view Stateroom and $9940* for a Premium Suite with a balcony. 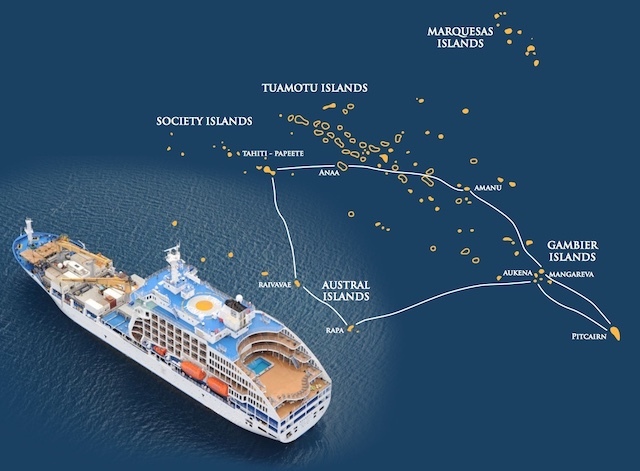 The one-off voyage includes the cruise line’s inaugural calls to the palm-fringed crystal-clear lagoons of Anaa and Amanu in the Tuamotus; Mangareva and Aukena in the Gambiers, which both offer pristine lagoons perfect for black pearls; and Raivave and Rapa in the Austral Islands, known for their intricate weavings. More than 230 years after the Bounty arrived, Aranui 5 is scheduled to make the cruise line’s maiden call to Pitcairn on January 14, 2019, offering guests the chance to see the grave of Mutineer John Adams, hand feed the Island’s only Galapagos tortoise, browse Pitcairn's local Curio and Craft market, sample the island’s unique organic honey, purchase a rare stamp from the Post Office which opens especially for guests, explore the island’s Museum including the Bounty Cannon and walk to Christian’s Cave, where the founder of modern day Pitcairn, Fletcher Christian, would climb to watch for passing ships - in particular a British search party manned by Captain Bligh. All guests will also receive a highly sought-after Pitcairn stamp in their passport and will be guided around the island by descendants of Fletcher Christian and John Adams. Aranui’s Regional Representative Australia New Zealand Laurent Wong said it was exciting to be retracing the famous journey of the Bounty mutineers while taking Aranui 5 to some beautiful new French Polynesian islands. “As a working ship, Aranui 5 offers a truly unique experience and we can’t think of anything more thrilling than taking our guests on the ultimate seafaring adventure to remote Pitcairn Island to discover the natural beauty and preserved culture of a community far removed from modern civilisation. 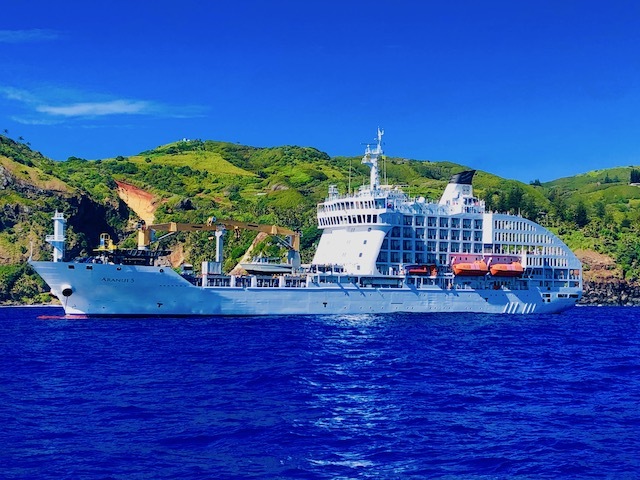 Located thousands of kilometres from the nearest continent, Pitcairn is so isolated it’s only accessible by sea and with all the mod cons of a new freighter, Aranui 5 will offer a stylish and comfortable new way to visit the island,” Mr Wong said.